Shallow Space, the upcoming revival of the tactical space RTS genre, is looking fantastic as development continues to make lots of headway. New screenshots of the ever evolving UI and of new ships from their Omega Directive have shown up. 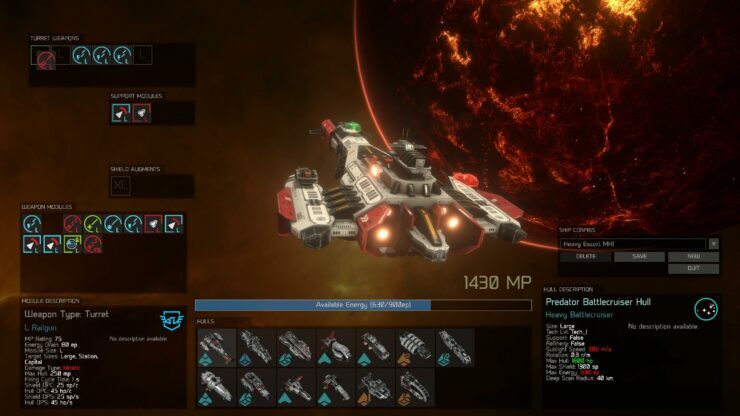 Shallow Space shows off a slick UI and a new Omega Directive ship. UI design is strangely complicated thing to accomplish in anything other than a typical FPS. Elements on the screen have to be placed an shaped optimally so that they’re both intuitive and easy to locate. And they also must allow for increased control in games such as Shallow Space. The UI that they’re designing in their Unity 5 powered game seems to be evolving appropriately. The ship configuration screen specifically was shown off in a new blog post, showing just how much customization options will be available in the final build, and how you’ll go about building those ships. 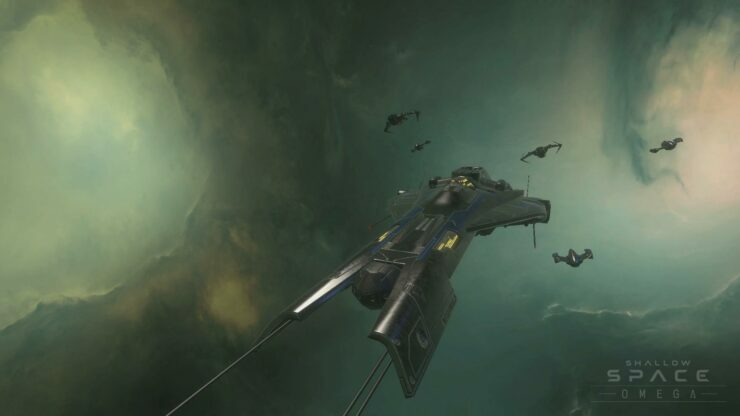 Another Omega Directive ship is also making its way to the game. Earlier this year they announced that they’re working on some very spectacular designs to be included. Previously, modified models from the Unity workshop, but have wanted to expand their individuality with unique designs that represent the Shallow regions of Space and the story being told. In the blog post recently, Mawhrin-Skel explained some of the finer points of unit and even personnel management. Nearly everything is up-gradable, including your crew which can be sent to training in-between missions so to be more efficient. This opens up a lot of options as to how you can play, letting your personal style dictate how you go through the game. Overall this is shaping up to be a very exciting entry into the tactical RTS, a genre that hasn’t really seen much in the way of new games for some time. The work being done by the artists is great, because even though this is an RTS from a more further away view, zooming in yields some great looking ships. And this is only the beginning.